Ian Broudie originally emerged from the post punk Liverpool music scene of the late seventies playing in the band “Big in Japan” alongside fellow band members Bill Drummond (KLF) Holly Johnson (Frankie Goes To Hollywood) Budgie (The Slits/Souxie And The Banshees) and Jayne Casey (Pink Military). Before the band ended in 1979 they created the independent record label Zoo Records which would later feature the bands Teardrop Explodes and Echo & The Bunnymen. This in turn led to him producing several bands (sometimes credited under the pseudonym “Kingbird”) starting with Echo & The Bunnymen and including The Fall, The Pale Fountains and Wah along with many other bands for the emerging independent record labels of the time including Factory Records, Rough Trade, Creation Records, Beggars Banquet etc. In 1989, Broudie returned to his songwriting with a set of home recordings. Out of necessity, with no record contract and no band in place, Ian sang and played everything on the tapes himself recording in his “spare bedroom”. Eventually, there was the opportunity for extra production on the tracks and a few hundred copies of “Pure” were pressed up through Rough Trade on the small independent record label Ghetto. 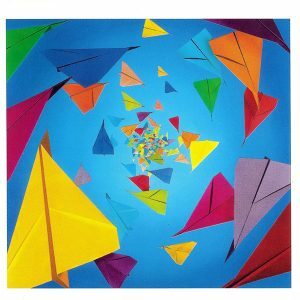 “Pure” was released under the name “Lightning Seeds”, the imaginary group he had envisioned to write his songs for in the hope it would become a reality. Gradually over a period of months, “Pure” started to gain some attention. Initially with radio play from the legendary DJ John Peel and then specialist night­time plays on regional radio stations. Pure began to climb the independent record charts and before long it was featured on daytime radio and became a chart success. Imported copies of the single had somehow made their way to the USA and Pure was spontaneously being played on American college stations and championed by KROQ’s legendary DJ Rodney Biggenheimer. It soon became the most requested record in California topping the airplay charts although it was not yet released or even placed with a label in the USA. 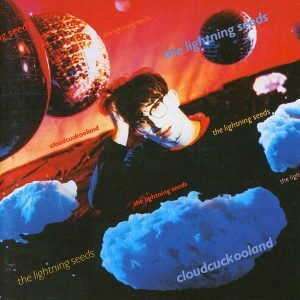 In 1990 with the release of the Album Cloudcuckooland the Lightning Seeds were truly off and running on both sides of the Atlantic although the first gig would come a lot later. 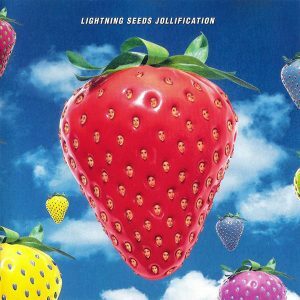 In 1991 after producing The Wild Swans and Pink Industry Broudie started on the second Lightning Seeds album ‘Sense’. Inspired and fascinated by the way loops and sampling were being pioneered and used on a lot of hip­hop records (in particular De La Soul) Ian decided that by using this sample based technology and methodology combined with Lightning Seeds structured arrangements and melody led cadences so contrasting in style to the music inspiring him he could create an unusual blend and an exciting direction for the band’s sound. To that end he began working on the album with co producer Simon Rogers who was adept at sampling and the perfect co-conspirator. 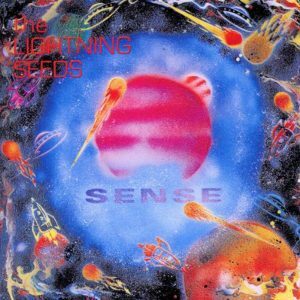 Joined by Cenzo Townsend on engineering duties, they recorded the Lightning Seeds’ second album Sense. Ian’s brother Rob had kindly donated his front room agreeing to let it be commandeered for a couple of months as a makeshift studio. The song ‘Sense’, which also became the album title, was the first of many songwriting collaborations between Ian and his good friend Terry Hall. “Sense”, along with “The Life of Riley”, became the most effective and memorable recordings born out of this approach and pointed the way to the future sound of the band. Following the release of the Sense album, Ian rented a couple of rooms in an old laboratory in Liverpool city centre and set up his equipment in a more formal studio setting. This was particularly fruitful since it allowed him time and space to produce records. During this period, Broudie produced artists such as Dodgy, Alison Moyet, Terry Hall, Sleeper and The Frank and Walters. He also provided free time for some fledgling artists, including The Divine Comedy. In the meantime, The Lightning Seeds were once again without a label with the implosion of Rough Trade and Ghetto records. Nevertheless, writing and recording began on the next album”Jollification”. There was a different atmosphere around these recordings – although it was the same recording team, improved technology helped Ian to find a more attainable sound and this encouraged him to focus more on Lightning Seeds; committing to becoming a live band, promoting the album and shelving all other distractions. For the first time Ian gathered musician friends together to form a formidable band originally consisting of Chris Sharrock (future Oasis drummer) Bassist Martyn Campbell (of legendary Liverpool beat band Rain) and Ian’s neighbour Paul Hemmings (also a founder member of the La’s). This was the nucleus of the live band although keyboard players and others came and went and Chris was later replaced by The Who drummer Zak Starkey. Jollification was released in 1994 on Epic Records it was easily their most accomplished album so far selling in excess of 900,000 copies. In 1996, Euro ‘96 was set to be the first major football tournament to be held in England since they had won the World Cup on home soil in 1966. The English Football Association asked Ian if he would write a song for the England team. He had the idea of collaborating with two comedians David Baddiel and Frank Skinner, the hosts of popular TV show Fantasy Football. They then wrote and recorded the song 3 Lions ’96, which became a number one single on two occasions, selling over a million copies in the UK. Another version of the song, 3 Lions ’98, also topped the chart two years later. The album Dizzy Heights was released in 1996 and contained many of the group’s most successful hit singles. Ian co-­wrote with Nicky Wire (Manic Street Preachers), Stephen Jones (Babybird) and once more with Terry Hall (The Specials). A reworking of The Turtles’ song “You Showed Me” was also featured. Halfway through recording the album, Broudie’s studio was relocated to a barge on the river Thames, owned by Pete Townshend, and the recording was finished on board. Dizzy Heights went on to achieve platinum sales, also receiving a coveted 5 star review in Q magazine. This short stint back in the producers seat also saw Broudie produce debut albums for The Rifles (“No Love Lost”) and The Subways (“Young For Eternity”) as well as the recording and releasing the well received solo album “Tales Told” on the Deltasonic label. Ian’s Studio is now located in Liverpool on the roof of a warehouse, overlooking the river Mersey, in which he mixed the album “Don’t Forget Who You Are” which he had produced for Miles Kane in 2013. Broudie recently performed a solo concert, which included a collection of his songs and some of his favourite productions, with the Royal Liverpool Philharmonic Orchestra. Guest vocalists James Skelly, Terry Hall, Ian McCulloch and Miles Kane joined Broudie who was backed by guest musicians Sean Payne, Nick Power, Bill Ryder­Jones, Martyn Campbell and Riley Broudie. 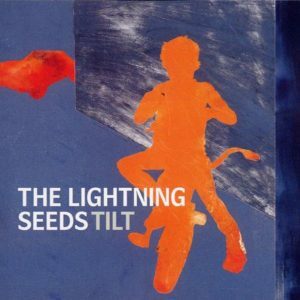 He is currently writing and recording the first Lightning Seeds album for many years.